WASHINGTON (CNS) — Surrounding the 1968 release of “Humanae Vitae” (“Of Human Life”) was the cultural context of the sexual revolution and a widespread fear about overpopulation following World War II, said Donald Critchlow, a professor of history at Arizona State University. In a session exploring the historical context of the times when the encyclical was released, Critchlow noted that prior to the drafting of “Humanae Vitae,” a commission was appointed to give suggestions for the Catholic Church’s response to new forms of contraception. Blessed Paul rejected the commission’s report and in “Humanae Vitae” affirmed the church’s teaching on the sanctity of human life and its opposition to artificial contraception. In the document, the pope warned of the harm that widespread use of contraception would cause in society, such as lowering of moral standards, marital infidelity, less respect for women, and the government’s ability to use different methods to regulate life and death. Critchlow said many priests and laypeople, particularly in the United States, dissented from this teaching. Students and faculty went on strike at The Catholic University of America after the board of trustees denied the tenure of a professor, Father Charles E. Curran, who publicly disagreed with the encyclical’s teaching. Cardinal Patrick O’Boyle disciplined 39 priests in the Archdiocese of Washington for their dissent from the document. Thousands of scientists wrote a petition published in The New York Times that criticized the encyclical. 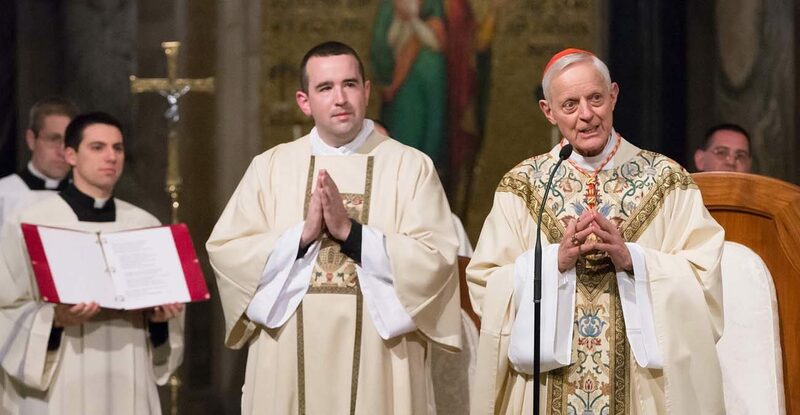 In his homily for the symposium’s closing Mass at the Basilica of the National Shrine of the Immaculate Conception April 6, Cardinal Donald W. Wuerl of Washington recalled that he had been given his first assignment as a priest just a year before the encyclical’s release. In the face of that temptation, the teachings of “Humanae Vitae” are difficult, “but to confuse hard (teachings) with wrong is an elementary error,” said Eberstadt. “If we are truly to lean into reality as Pope Francis has asked us to do … there is only one conclusion … the most globally reviled and widely misunderstood document … is also the most explanatory and prophetic of our era,” she added. When the availability of abortion made the birth of a child “a physical choice of the mother,” it also made fatherhood a social choice for the father, who no longer felt equally responsible for the out-of-wedlock birth, said Eberstadt. As an example of how the sexual revolution and widespread use of contraception benefited men more than women, Eberstadt pointed to the recent “Me Too” movement where women have been sharing stories of sexual harassment in the workplace. These stories show how “widespread contraception licensed predation,” she said. Today’s view of gender as a social construct without any natural difference has resulted in the “forced separation of inseparable things,” such as a woman from her child, the man from the woman, and the child from the parents, said McCarthy. In this worldview, relationships with others are seen as constraining arrangements that “we didn’t’ sign up for,” she noted. Through artificial reproductive technology, these relationships are then brought back into the picture on different terms, as choices within an individual’s control rather than a natural occurrence, she added. “We, evangelizing disciples of the Lord Jesus, bring so much to the appreciation of the value of life and the integrity of its transmission,” said Cardinal Wuerl.